Home Talking points Benegerachin Lay-Discussion የኢትዮዽያ መንግስት የዘረመል ምህንድስናን በተመለከተ ለምን ህጉን ማላላት አስፈለገው? I first would like to appreciate wazema radio for its efforts in creating awarness on this very important issue. The problems associated with GMO are by far beyond from what is mentioned by the respective experts. They most of the time has explained what has been saying in the biotechnology courses. But the GMO atmosphere has evolved quite tremendously. I cannot put here all the truths and myths about GMO but I just try to put the major ones. For further and detail information you can look up on the links down below. 1. GMO doesn’t increase yield. Truth!! Genetically, it is impossible to increase the yield of a given crop by maintaining its genetic quality. Quantity and quality in genetics are inversely related. The yield increment comes from by cultivating for example corn or cotton in most of arable lands available within the given area. So that we can have higher yield of cotton or corn by increasing the agriculture field. But this is achieved at the expense of other important crops which our farmers grow together. Therefore the increment is mainly attributed by land coverage. That is why it is a big threat to biodiversity. 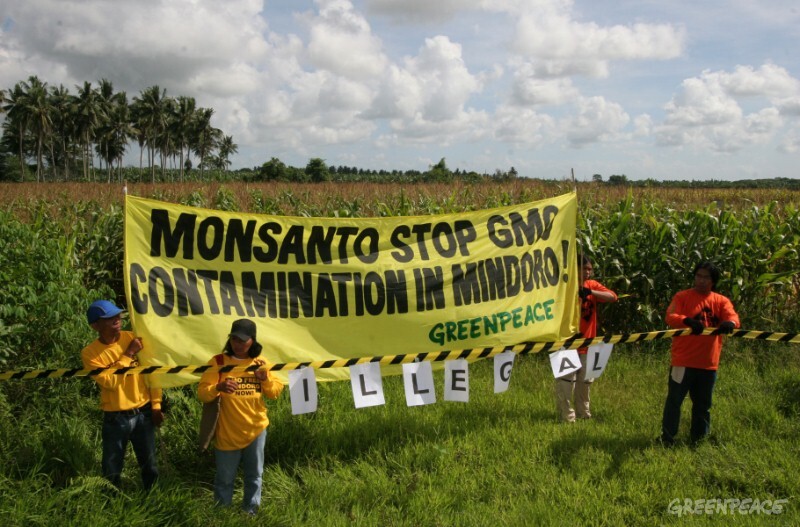 The second is that GMO crops are made to be herbicide resistant unlike other natural plants with in the vicinity. This is the CENTRAL point in the GMO movement these days. I will return to this point in a different line. By the way had it been about food security, why is MONSANTO working in the US? It is believed that food shortage is present in Africa (though it is a lie (The corrupted system makes the people deprived of food)) so why hasn’t MONSANTO go to places like Africa first rather than making profits in USA and Latin America? It is all about MONEY!! 2. It has nothing to do with climate change resilience. Rather it is vulnerable to climate change. This is because GMO favors only single crop agriculture not mixed agriculture. Our farmers grow many crops together. This is mainly to get different food products and minimize the risk associated with pests, drought, etc and to get shade for shade loving crops like coffee, crop symbiosis, etc. So GMOs are vulnerable for some kind of super bugs and natural calamities. UN experts have studied extensively on climate change resilience, productivity, food security…and came up with the solution of the traditional system like Ethiopian farmers’ practices around Sidama and Gedeo. 3. 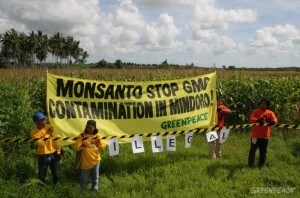 There are many countries in Europe, Africa and Asia which still banned GMO. Most of the countries by the way got the consultancy from Loret Dr Melaku Worede to ban GMO. We can live without it. The difficult thing for me is getting rid of it once they are in because of the leveraging power of MONSANTO. American people are dying hard to get the GMO label on the food packages let alone ban it. But their corrupted government passed the bill called H.R.1599 which makes labeling GMO foods illegal and which snatched American people the right to know. It is a puzzle that if the producers are proud of their product what is the problem of labeling it?? 4. The GMO seeds are terminator seeds. It is impossible to reproduce them due to “patent” issues. It is mandatory to buy a new viable seed every year which makes the farmers dependent on seed suppliers. Due to this fact Indian farmers are committing suicide in alarming rate. It is almost impossible to pay back their debt let alone the prosperity. 5. Why did Obama visit Cerifam food factory during his visit in Ethiopia? I thought there are very promising and nice organizations where he can spend the time like soleRebels. But he got there because the factory used GMO corn as input. Bear in mind that Cerifam is a children food. These evil guys are dangerously monsters beyond what we can imagine. 6. The serious problem currently is the HEALTH issue which is associated with herbicidal resistance of GMOs. GMO crops use a glyphosate herbicide which kills everything it touches within days (To be specific 4-20days). But the GMO crops have a resistant gene which extracted from E.coli bacteria which in turn is a resistant bacteria for glyphosate. So when we eat these food products, we ingest glyphosate which is a probable carcinogenic herbicide. Its components are already banned. UN-WHO has already labeled it as a carcinogenic chemical. If pregnant women and kids are fed with GMO, the children are very likely to be Autistic. Diabetes, organ failure, dementia and other genetic problems are highly attributed by GMO foods. There are a lot of independent studies done on GMOs which all of them concluded its adverse effect.